The Golden Lotus is a Pandaren faction that watches over the Vale of Eternal Blossoms, having kept its doors closed for thousands of years. Recent developments (Mogu invasion, Sha manifestations, and arrival of the Alliance and the Horde) have forced the Golden Lotus to reopen the gates of the Vale in order to seek outside help. After reaching level 90, you will be able to increase your reputation with the Golden Lotus by doing daily quests in the Vale of Eternal Blossoms, during which you will help the Pandaren in their struggle against the Mogu invasion. In this guide, we will detail the daily quests and explain how to obtain all the related achievements. After the destruction of the Vale of Eternal Blossoms in Patch 5.4, the only remaining quest hub is the Setting Sun Garrison. We left the guide untouched, as a reminder of what it was like when the Vale was still intact. 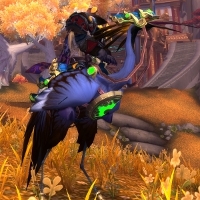 The remaining quests do not seem to have received a buff in reputation given, so reaching exalted reputation with the Golden Lotus (through daily questing) should now take a lot more time than before. Every day, you will start your Golden Lotus quests at the Golden Pagoda, in the central area of the Vale of Eternal Blossom. The daily quests are split in 3 parts, each part taking you to a different location in the vale to counter the Mogu invasion. 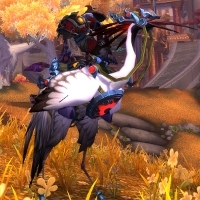 You will receive approximately 1,500 reputation every day, so it will take about 3 weeks to reach exalted reputation with the Golden Lotus. It will take less if you are a Human or if your guild has unlocked the +10% reputation perk. You can earn another 400 reputation a day by doing the Golden Lotus Work Order at your farm (see our Tillers guide). 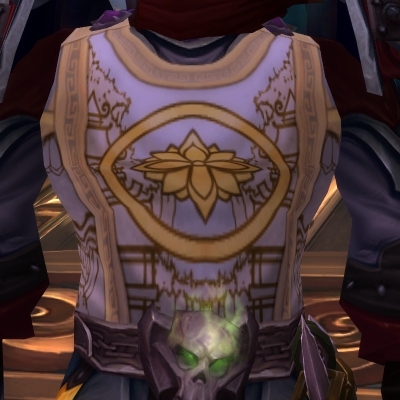 As soon as you reach revered reputation with the Golden Lotus, make sure to purchase the Grand Commendation of the Golden Lotus from the faction quartermaster. Using this item will allow you to reach exalted reputation much faster. In order to increase your reputation gains with the Golden Lotus, you can choose to champion them in the reputation tab of your character panel. This will cause you to gain addition reputation when doing various activities, but mostly through running Heroic dungeons and scenarios. The Golden Lotus will reward you with a tabard, three mounts, profession patterns, and many pieces of gear. All the rewards can be bought from Jaluu the Generous in the Vale of Eternal Blossoms. After reaching exalted reputation, you can buy the Golden Lotus Tabard, which costs 10 . Blue quality items have a level of 458 while Epic quality item have a level of 489. As of Patch 5.4, reputation requirements for these items have been removed. We detail them in a later section. There are 5 milestones that you will reach by grinding reputation with the Golden Lotus, as indicated by the objectives of the Eternally in the Vale achievement: The Golden Gate, Remember to Close the Door, The Jade Army, Weapons of the Thunder King, and Welcome Home. The Golden Gate is automatically granted after you open the Golden Gate, although this is currently bugged on live servers. Remember to Close the Door is automatically granted after you complete the introductory quest line to the Golden Lotus, which ends with Leaving an Opening. The Jade Army is granted when you complete The Secrets of Guo-Lai, which is given to you by Leven Dawnblade, at the Golden Pagoda, when you reach honored reputation with the Golden Lotus. Weapons of the Thunder King is granted after completing Battle Axe of the Thunder King, Battle Helm of the Thunder King, and Battle Spear of the Thunder King, which are given to you by Zhi the Harmonious, at the Golden Pagoda, when you reach revered reputation with the Golden Lotus. Welcome Home is granted after completing the final quest line that is given to you after reaching exalted reputation with the Golden Lotus. The quest line starts with The Mogu's Message (given by Leven Dawnblade at the Golden Pagoda), and continues with What Comes to Pass, The Might of Three, and The Final Power. When you reach honored, revered, exalted reputation with the Golden Lotus, doing the one-time quests that become available at the Golden Pagoda should be given priority over all other Golden Lotus daily quests. The reason for this is that when you unlock or take these quests, you enter a phase that is different from the phase where you can kill your daily quest mobs and see your daily quest givers. The phasing issues should have been solved by a hotfix from November 12. However, we are not removing this notice yet, in case some of the phasing issues still persist. The daily quests consist of four stages. Stage 1: you will start with a first series of quests at the Golden Pagoda. Finally, you will get a quest that requires you to kill an elite mob in the vale. If you are not honored with the Golden Lotus yet, then you will be given the final elite quest after the second series of quests. All daily quests reward reputation with the Golden Lotus and 5x . You will always start the daily quests at the Golden Pagoda, where you will be given 5 daily quests. The quests will grant you a total of 500 reputation with the Golden Lotus. These quests are relatively easy and reading the quest description should be more than enough to complete them. 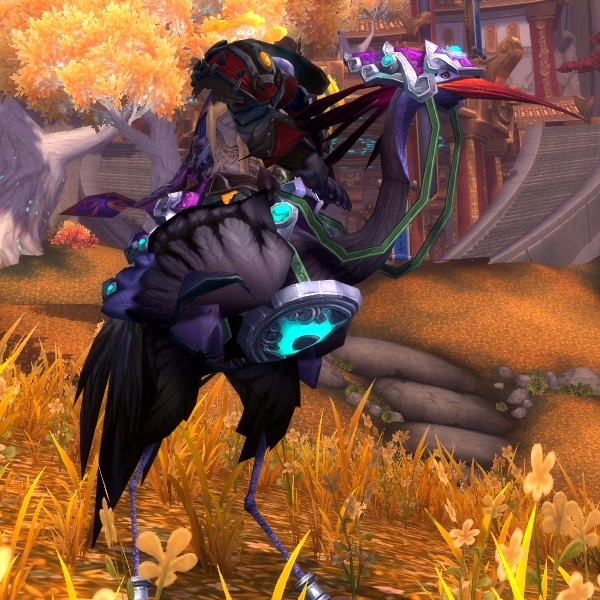 That said, remember that you can do Free Spirits entirely on your flying mount, which makes it a lot easier. After completing the Stage 1 quests, you may receive the Whitepetal Lake quest, which will lead you to the lake, west of the Golden Pagoda. There, you will receive 4 follow-up quests, which will grant you a total of 400 reputation, as described in the table below. After completing the Stage 1 quests, you may receive a new series of quests from the NPCs at the Golden Pagoda, which will consist in defending the Whitepetal Lake area against the Mogu attacks. The series of quests consists of 4 quests, which will grant you a total of 400 reputation, as described in the table below. After completing the Stage 1 quests, you may receive the Mistfall Village quest, which will lead you to Mistfall Village. You may also receive this quest after completing your Stage 2 quests. At Mistfall Village, you will be given a series of 4 series, which will grant you a total of 400 reputation. There are 4 possible sets of 2 quests and you will be given 2 of these four sets, randomly. After completing the Stage 1 quests, you may receive the Attack on Mistfall Village quest, which will send you to defend Mistfall Village against the Mogu attacks. You may also receive this quest after completing your Stage 2 quests. At Mistfall Village, you will be given a series of 4 series, which will grant you a total of 400 reputation, as described in the table below. After completing the Stage 2 quests, you may receive the Guo-Lai Infestation or The Ruins of Guo-Lai quest, depending on your Stage 2 questing location. Both quests send you to the Ruins of Guo-Lai where you will be given a series of 4 quests, which will reward you with a total of 400 reputation, as described in the table below. After completing the 3 quests given to you by Zhi the Harmonious upon reaching revered reputation with the Golden Lotus (Battle Axe of the Thunder King, Battle Helm of the Thunder King, and Battle Spear of the Thunder King), you will be offered either The Crumbling Hall or The Thunder Below, as a 5th quest in Guo-Lai. We detailed these quests, which reward 200 reputation, in a later section, as you need to complete them in a particular way to earn the One Step at a Time achievement. After completing the Stage 2 quests, you may receive the Mogu within the Ruins of Guo-Lai or Guo-Lai Encampment quest, depending on your Stage 2 questing location. Both quests send you to defend the Ruins of Guo-Lai against the Mogu attacks. At the ruins, you will be given a series of 4 quests, which will reward you with a total of 400 reputation, as described in the table below. After completing the Stage 2 quests, you may receive the Setting Sun Garrison quest, which will send you to the Setting Sun Garrison in the south-western area of the Vale of Eternal Blossoms. There, you will be given a series of 4 quests, which will reward you with a total of 400 reputation, as we describe in this section. First, you will need to complete 2 quests. Then, you will be given the remaining 2 quests, which can be from the combinations listed in the table below. After completing the 3 quests given to you by Zhi the Harmonious upon reaching revered reputation with the Golden Lotus (Battle Axe of the Thunder King, Battle Helm of the Thunder King, and Battle Spear of the Thunder King), you will be offered either Roll Club: Serpent's Spine or Enemy at the Gates, as a 5th quest in the Setting Sun Garrison, which rewards 200 reputation. We detail Roll Club: Serpent's Spine in the section about the Roll Club achievement, and Enemy at the Gates in the section about the Spreading the Warmth achievement. The final daily quest depends on the Stage 3 quests of the day. In some cases, the final quest is actually a follow-up of one of the Stage 3 daily quests. Each final quest rewards 200 reputation with the Golden Lotus, Treasures of the Vale, and 5x . We believe that 3 of the elite enemies you have to kill during these final quests are worthy of a mention. Cracklefang has a very dangerous ability called Devastating Arc, which he casts in the entire semi-circle in front of him. This ability has a 2-second cast, which gives you little time to take cover behind him. As a result, ranged players will want to always keep a short distance between them and Cracklefang, so that they can easily move behind him when needed. Vicejaw has an ability called Strong-Headed, which creates a shield that deflects all attacks made to him from the front. When this happens, you need run behind him and attack him from there. Sadly, if you are soloing him, he will keep turning around to face you, which can make it very difficult to deal damage to him. To deal with Strong Headed, you have several possibilies. You can kite him to nearby patrolling Golden Lotus guards and let them assist you. You can get very close to him, which will enable you to attack him without having your attacks deflected. Clothies may find it difficult to survive Vicejaw's attacks at close range. You can force Vicejaw to use Upchuck. To do so, kite him over the corpses of nearby mobs (like gazelles or sauroks). Eating a corpse will grant him 10 Energy. At 100 Energy, he will cast Upchuck, which incapacitates him and increases the damage he takes. Kri'chon (from the Under the Setting Sun quest) can be easily killed by following the right strategy. There are several Oil Kegs around the area where you fight this scorpion. Kiting him through a keg will cause the keg to break and will debuff Kri'chon with Flammable Oil. From there on, you need to attack him with a Fire spell (or wait for the Shado-Pan rangers to do so) in order to inflict him with Burning Oil. Repeat whenever Burning Oil drops. In the process of reaching exalted, you will earn the The Golden Lotus achievement. Normally, you should also earn Eternally in the Vale (see section about milestones). We will walk you through the 8 remaining achievements in the following sections. Mogu mobs in the Vale of Eternal Blossoms have a chance to drop an Ancient Guo-Lai Cache Key, which you can use to open an Ancient Guo-Lai Cache and complete A Taste of History. Originally, these caches could only be found in the Guo-Lai halls, but thanks to a Patch 5.0.5 hotfix, Ancient Guo-Lai Caches can now be found in more varied locations within the Vale of Eternal Blossoms. So, you will find these caches all around the vale (although you will still find them more frequently in the Halls of Guo-Lai). An important mention needs to be made regarding the way in which these caches open. After finding a key and using it to open a cache, there will be a confirmation screen for the items in the cache. It will ask you if you are certain that you want to loot a given item because it binds it to you. If you move away from the cache before you looted all the items, the cache closes and locks again. Your key is then wasted. This can easily happen if you expect the cache to auto-loot and you just keep moving, or if you get hit by a falling stone or if you get knocked back, etc. The loot from the caches is extremely varied, but you will most often get the following items: Relic of the Thunder King, Relic of Guo-Lai, Lesser Charm of Good Fortune, and Spirit of Harmony. Engage an enemy and bring them to low health (about 10%). Engage a Mogu Statue (get close enough and they will activate). Wait for the statue to cast Crushing Slam and kill your first enemy. Make sure to move the first enemy away from the statue if it starts casting Crushing Stomp (it will kill the enemy without triggering the achievement). It appears that the achievement can trigger if the statue kills a critter with Crushing Slam. Dog Pile is very straightforward to complete. On a day when you quest at the Setting Sun Garrison, accept the The Battle Ring quest and go stand in the battle ring. The Shado-Pan trainees will activate one by one. Wait for 10 of them to have become active and kill them. They do very little damage. To complete One Many Army, you need to kill all the elite enemies from the final Golden Lotus quests. By the time you reach exalted reputation with the Golden Lotus, you should have killed most of them. The spawning locations of the NPCs are always the same and they do not travel much, so you can simply fly to the locations of the NPCs you are still missing and use a /target macro in the hope of locating them precisely. Below, you will find a list of the enemies to kill and their related daily quest. One Step at a Time is a very difficult achievement. To complete it, you need to complete The Crumbling Hall and The Thunder Below without taking any damage. This include fall damage and damage absorbed by shields. So basically, if you fall or get hit by the slightest thing, you can abandon the quest and start over. When doing The Crumbling Hall, you will have to avoid activating the statues, all the while dodging traps, patrols, and stones falling from the ceiling. This requires practice, but any class will eventually manage. When doing The Thunder Below achievement, you will also have your share of things to avoid on your way to Milau, but when you will reach him, you will have to fight him without taking damage, something that is very hard for melee classes. when he casts Lightning Sweep (at 66% and 33% health), he will pull you to his location and you will, in most cases, take fall damage, which will prevent you from completing the achievement objective. What you need to do is stand behind one of the pillars to be out of Milau's line of sight. The easiest way to complete the achievement objectives is by having a friend accompany you and trigger the traps, kill the statues, patrols, and elite enemies while you stand behind safely. Ready for Raiding III will require a bit of patience but is not overly difficult. It may be frustrating for players with a bad latency, as they will find it very hard to react in time. To complete the achievement, you need to not take damage from any source from the moment you take the quest until the moment you turn it in (avoid stepping into the bonfire next to the quest givers). The first objective requires you to complete Survival Ring: Flame without taking damage. Simply run around the survival ring while avoiding the flames. The second objective requires you to complete Survival Ring: Blades without taking damage. This is more difficult than the first objective. What you need to do is find a pillar and always stick to it, going around it to avoid the incoming Shado-Pan trainees. Be careful not to take damage from the bonfire near the quest giver when you turn in the quest. Roll Club requires you to finish the Serpent Spine course in 70 seconds or less, something that you can only do when the Roll Club: Serpent's Spine quest is available. Make sure to take all the early speed boosts, but do not go over 13 or 14 stacks of the speed increasing buff, as it makes it very hard to maneuver your character. By properly avoiding oil patches and using proper trajectories, you should be able to easily obtain this achievement. Spreading the Warmth can be done while you are on the Mantid Under Fire quest. To complete the achievement, you need to kill 60 Krik'thik Hivelings with a single Shado-Pan torch. During Mantid Under Fire, you are given a vehicle action bar. Pressing 1 will throw oil and pressing 2 will throw a torch that will light the oil. To kill 60 Krik'thik Hivelings with a single torch (so by pressing 2 only once), you first need to spam 1 to spread oil on as many hivelings as possible and then throw a torch, hoping to have spread enough oil to kill 60 hivelings. Note that you can keep throwing oil while the fire is burning, just do not throw another torch. It appears that you can also trigger the achievement during the Enemy at the Gates quest by killing 60 Krik'thik Hivelings in a very short time. 14 Sep. 2013: Updated reputation requirements and costs of gear rewards. 14 Sep. 2013: Added a note regarding the destruction of the Vale of Eternal Blossoms. The guide will remain intact, as a reminder of what things were like before Patch 5.4. 21 May 2013: Patch 5.3 update: Reaching revered with the Golden Lotus is no longer a prerequisite for the Shado-Pan and the August Celestials.